The inauguration of the new ITER IO Headquarters took place on Thursday 20 November in an intimate ceremony that brought together Kaname Ikeda, Director of ITER IO, Didier Gambier, Director of F4E, Francois Gauché, Director of Agence ITER France and local representatives of the PACA region. This building will temporarily host the new office of the Director General of ITER IO and the Administration Department offering working space for roughly 300 members of staff. In fact, this is the first piece of land that is transferred from Agence ITER France to ITER IO. "This is a symbolic day for the realisation of the ITER project" stated Kaname Ikeda. There is thread than runs in parallel between the way different parties have learnt to collaborate in the ITER project and the way this building was designed and financed. This building is the outcome of a strong collaboration between different actors. Fusion for Energy offered a financial support of € 5,661M towards the construction costs. Agence ITER France, was in charge for the urban development and management of the site. 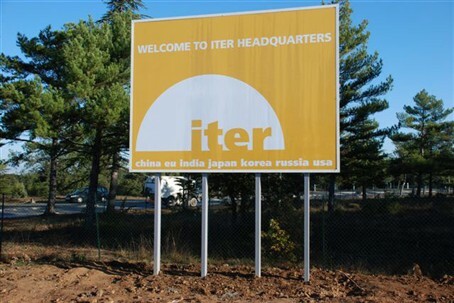 The members of staff of ITER IO are those that will make use of the building in the end. 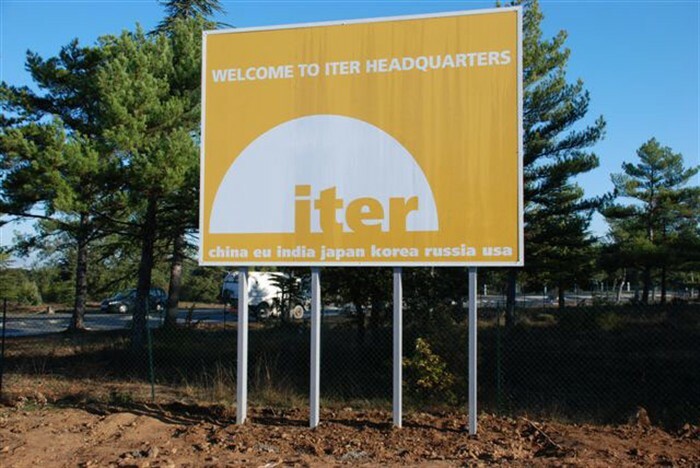 The members of staff of ITER IO are those that will make use of the building in the end. If this arrangement sounds complicated, then rest assured that this is congruent with the esprit of ITER: 'the way' towards international collaboration and mutual respect. Didier Gambier explained in his speech that the ceremony of the new building was the ideal occasion to remind us all that when we work together we build together. Not just in terms of responding to short term challenges but also in terms of leaving a legacy for the future generations. That's what the ITER project is all about.